It’s happening again! In November we had our first Revolution, when six members of the wider Bright Club family took to the stage in place of our usual intellectuals to tell us about their lives, loves and work. And now we’re doing it all over again. 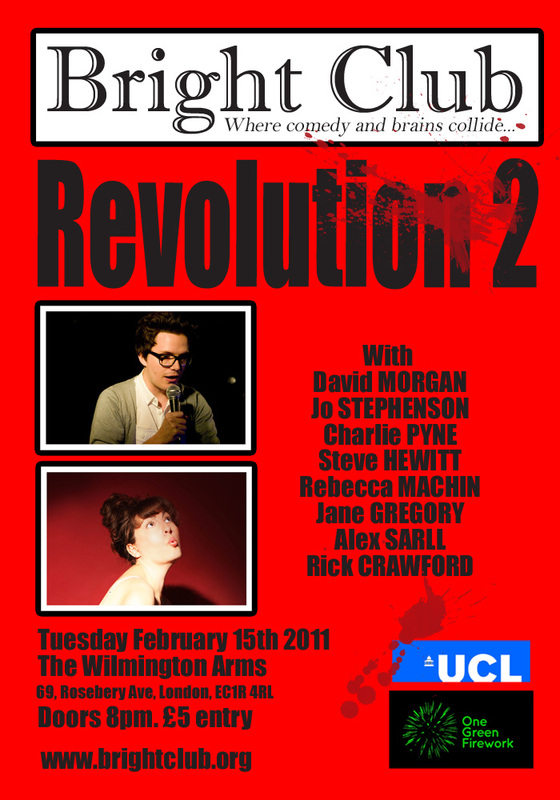 After wowing the New York Times in December, David Morgan is back in the compere slot (http://thisisdavid.com), and Jo Stephenson (http://www.jostephensonsings.com) and one of her many, many ukuleles handling musical duties. The gig’s Feb 15th in the Wilmington Arms. Come along and LONG LIVE THE REVOLUTION! !